Become Certified as an Outsourced Call Center! Call center managers seeking outsource partners to handle their calls want assurances that these calls will be handled according to SLA agreements. BenchmarkPortal can help outsourcers prove that they are reliable partners with a proven track record. 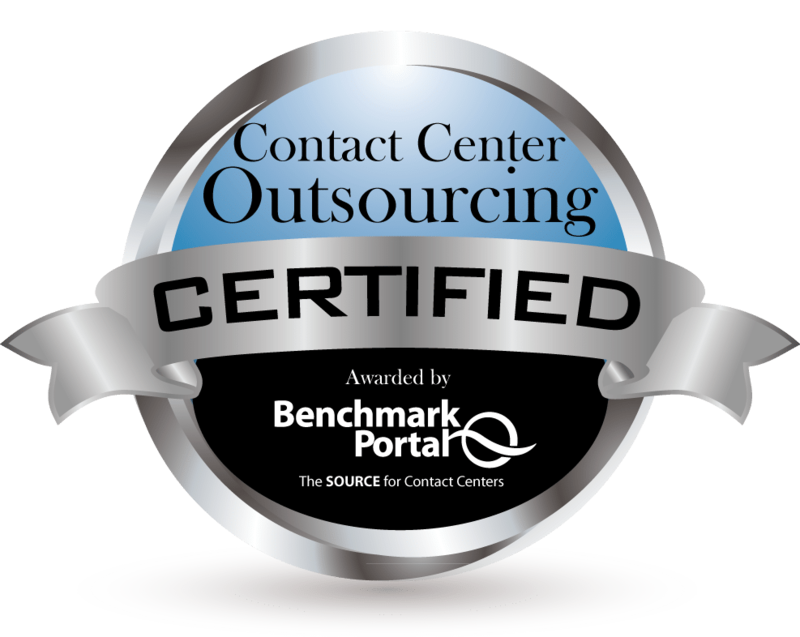 Our outsourcer certification process validates outsourcer services and performance. Earning certification can help outsourcers with their marketing efforts, their client satisfaction metrics and their bottom lines. In today’s economic environment, being able to show potential clients the stamp of approval of a respected third party like BenchmarkPortal can confer a major competitive advantage in the minds of decision makers, who cannot afford to make a mistake on their outsourcing decision. Having your operations certified as a Center of Excellence (COE) shows your commitment to high standards and your interest in leading-edge best practices. BenchmarkPortal’s proprietary “balanced scorecard” methodology focuses on metrics relating to quality, on one side, and to cost, on the other. Those centers with superior performance on both sides of the equation become certified. Displaying the BenchmarkPortal Outsourcer Certification logo on your marketing materials and explaining to prospects the process by which you obtained certification will differentiate you in the market. Our process goes beyond validation and may actually provide managers with business intelligence they can use internally to improve their operations and reduce costs, through their interactions with our experts. Our program puts you ahead of the game with clients who, increasingly, may be requiring certification as a condition of awarding mandates. BenchmarkPortal, with the world’s largest database of call center metrics, is very familiar with the world of outsourcing. BenchmarkPortal’s CEO, Bruce Belfiore, along with the rest of the BMP team, have analyzed and improved outsourcing operations both in North America and abroad. A 41-KPI Benchmarking Survey – In-Depth RealityCheck™ is filled out for each queue (or customer). In this process, we compare the queue’s performance with a statistically valid sample of call centers in the same industry segment. We conduct a “deep dive” into the major gaps that were highlighted in this report. This process is repeated for every queue in the Outsourcer’s operation. The call center’s ACD report is mailed to BenchmarkPortal so that an independent auditor can confirm that the submitted data is accurate. This discovery process focuses on 41-key performance indicators. We conduct an independent caller satisfaction survey to ensure that you have reached the desired service levels necessary for full certification. The call center seeking certification will supply us with 1000 names and email addresses of recent customers. We then conduct an independent email survey of the customers on this list. We conduct an independent agent satisfaction survey to ensure that you have reached the desired levels needed for full certification. This is conducted via a survey over the Web sent to the agents in the call center looking to reach certification. Contact us today in one of the following ways to begin your Call Center Outsourcer Certification.